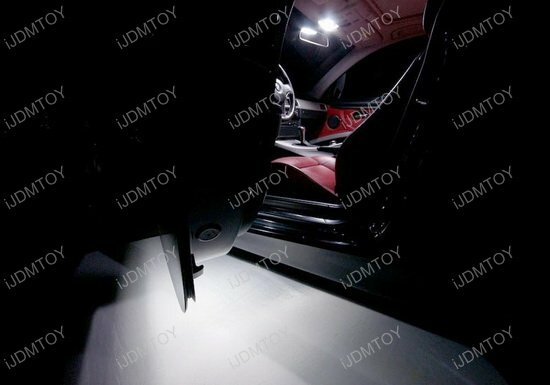 Q: Which BMW will this LED courtesy lamps fit? Q: Is this product error free? 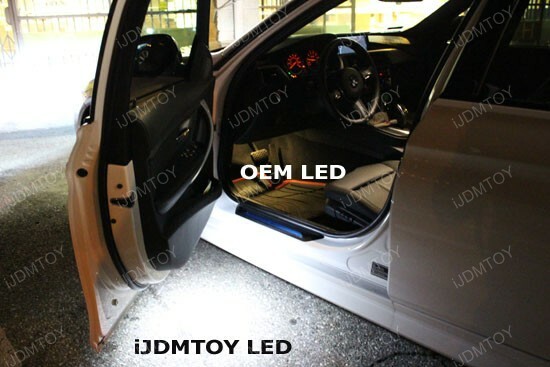 A: Yes, these OEM replacement LED courtesy lamps are completely error free for all the BMW listed. 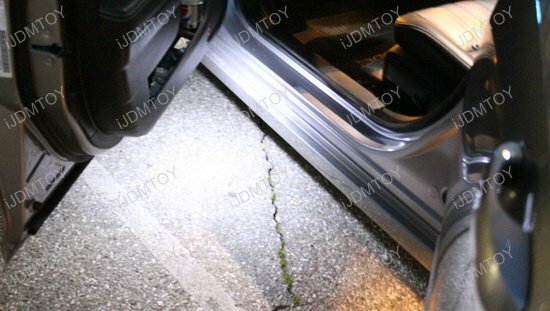 Q: How do I install this error free BMW LED courtesy lamps? 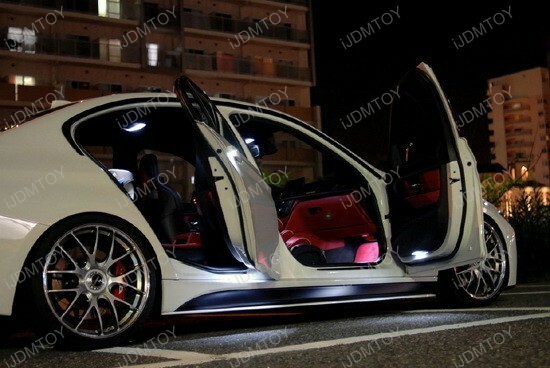 A: You can find the detail BMW LED courtesy lamps installation here. 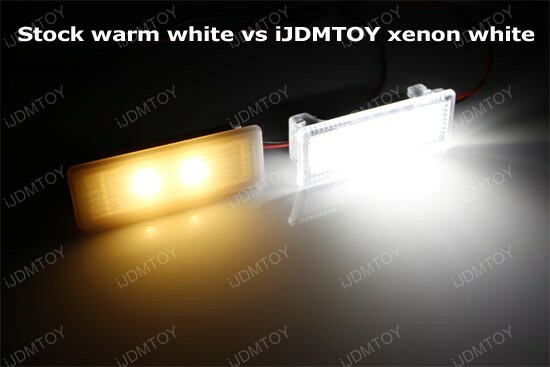 Q: What if the LED courtesy lamps don't light up? 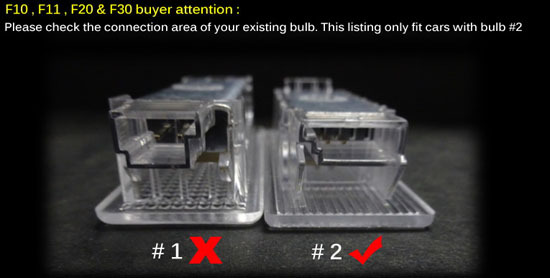 A: Check the pins in your LED courtesy lamp to make sure they are straight. If not, you can use a small flat-head to push the pin to make it straight. There is no modification required. 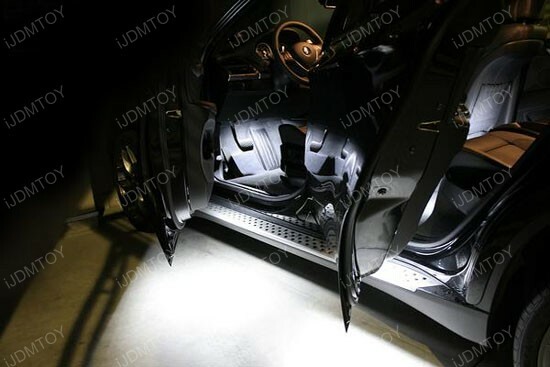 Simply pry/remove the OEM LED step courtesy lamps and directly replace back with these 7000K xenon white LED replacement. 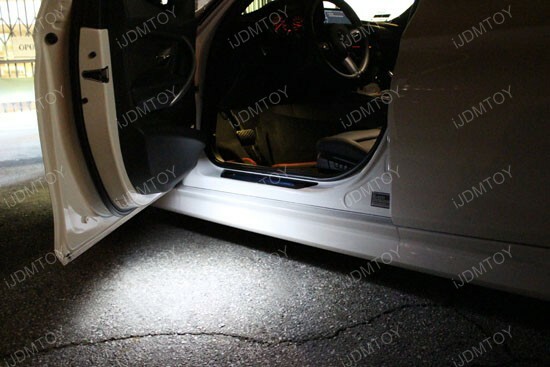 It will help you get rid of the OEM dull yellowish to a fresh "real cool" LED look! 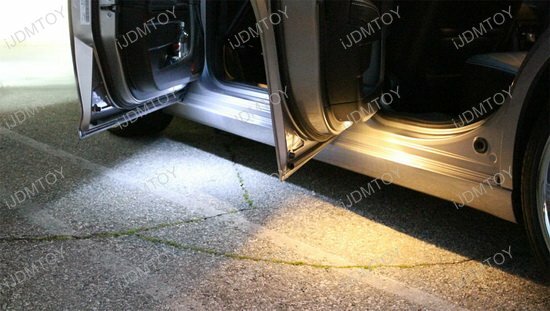 I gotta say I really took a chance ordering these LED door step courtesy lights but they we worth it! 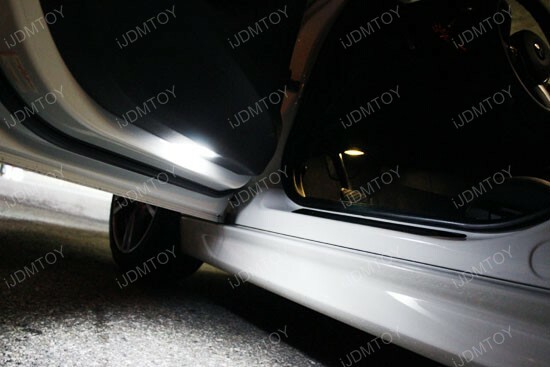 Huuuuge difference between the OEM LED lights and these. 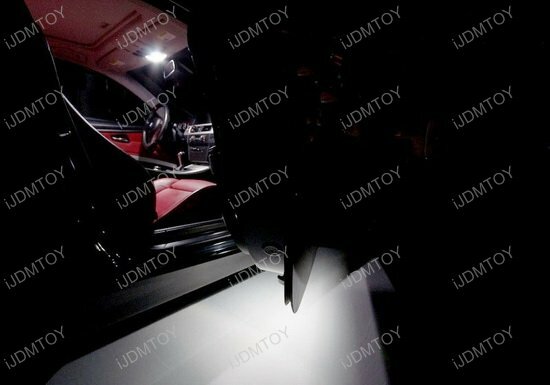 The BMW OEM housing has just One! Led diode. These come with 18! 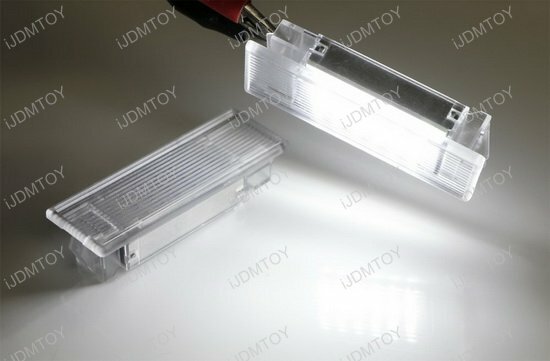 The amount of light output they put out seriously reflects the amount of diodes in the housing. And the color, freaking sweet! 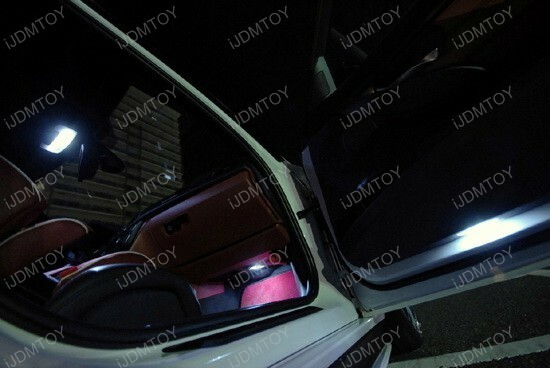 The 7000K white light match the color of the exterior door handle LED lights. 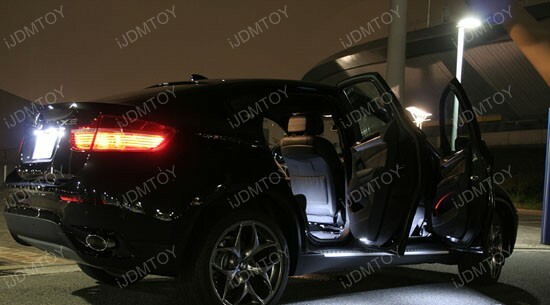 Who knows why BMW would make the door handle light 7000k and make the interior LED lights somewhere in the 4300 to 5000k? (Correct me if I'm wrong on the temperature, I didn't research it). The power pins on these modules are finicky. On two of the modules, I was able to install them directly into the stock connector. But on the other two, the freaking pins bent and we're pressed against the housing. I had to just my Xacto knife and gently pry them back without snapping them off and I used the included wiring harness adapter since it's super thin and skinny and I could angle it so the pins could line up and allow me to press them in to the connector.